Welcome friends! 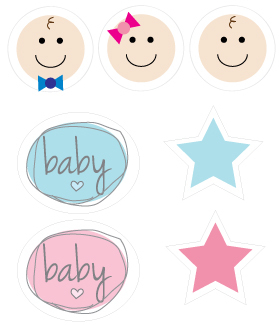 I have created several baby shower favor tag printables that you can print from home and attach to your favors! 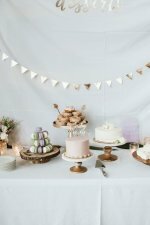 Planning a baby shower shouldn't have to be hard! 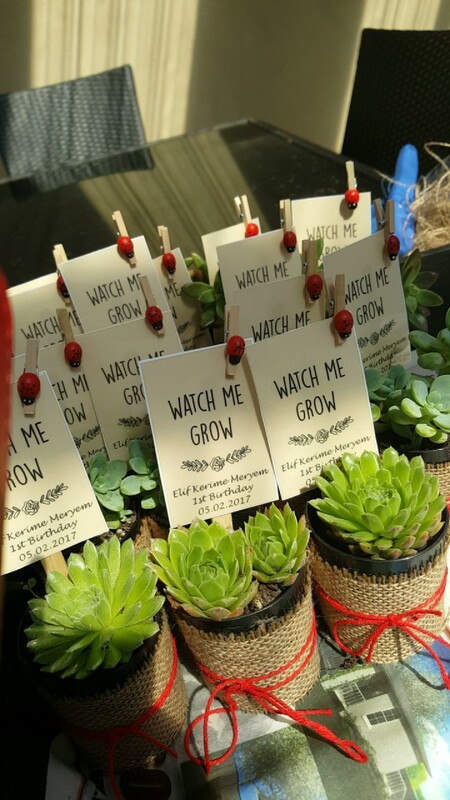 We are here to supply you with several baby shower favor ideas to save you time and make things go as smooth as possible! Enjoy! 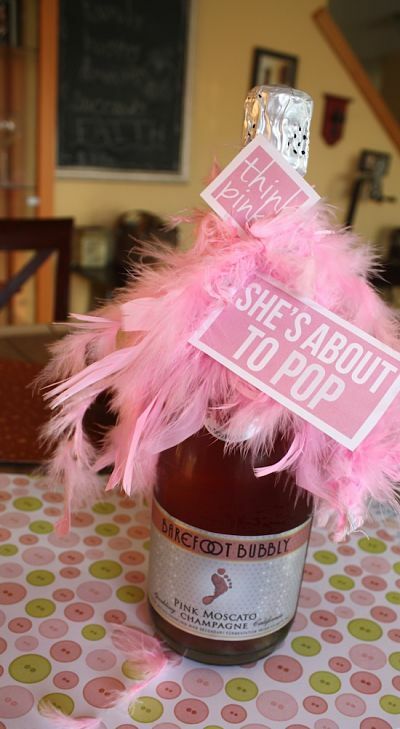 Add our printable "She's About to POP" baby shower gift tags to champagne bottles and hand out as baby shower prizes - or - buy the mini bottles, attach a printable favor tag, and hand out to each guest as favors! POPcorn baby shower favors: hand out bags of microwave popcorn that has been wrapped in cute scrapbook paper. or fancy popcorn drizzled with white chocolate and put into cute mason favor jars. Tie onto bundles of lolliPOPS or BlowPOPS, POP Rocks, and anything with the word POP in it. This cute picture was sent in from Ticca, one of our readers. Poke holes into each favor tag and tie with pink jute! 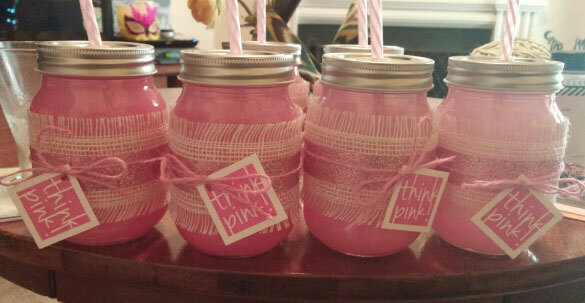 Fill each jar with pink punch or lemonade! So adorable! 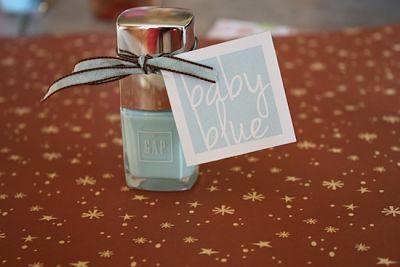 Using our blue favor tags, you can also do this in blue for a baby boy shower! 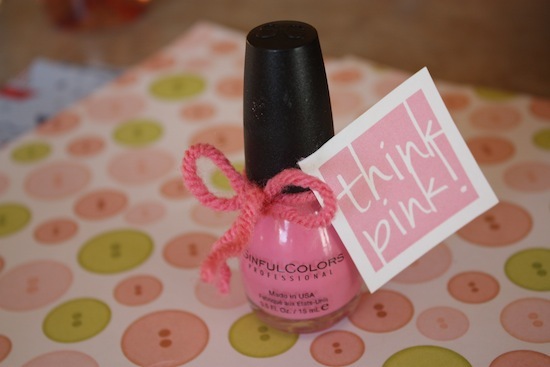 Get our printable "Think Pink!" or "Baby Blue" favor tags here. I tried to find something similar to the burlap used above, and found this over at Amazon. Click on the picture for the link. 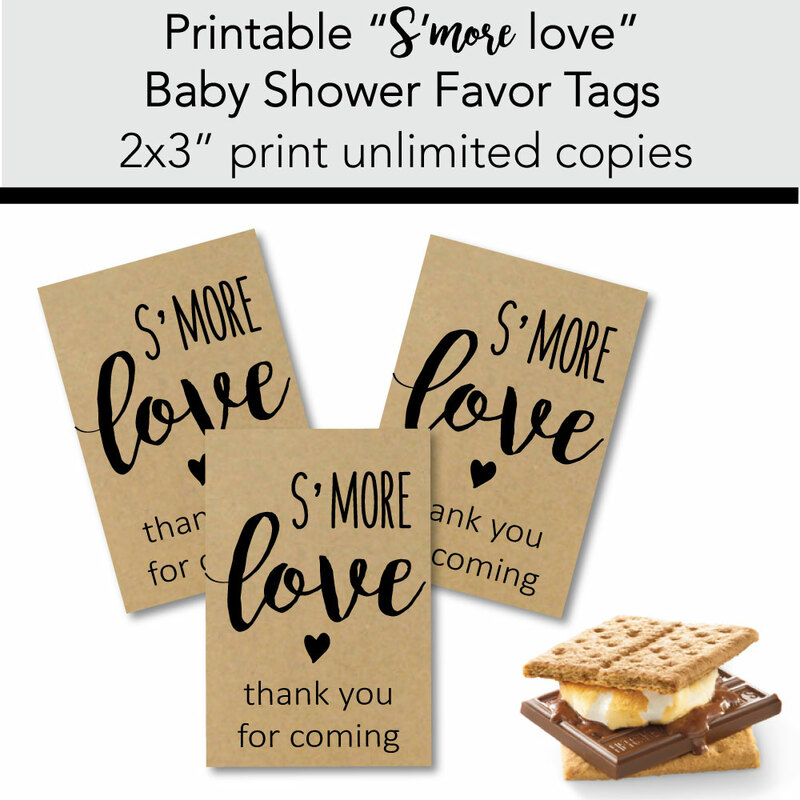 Below are several more favor tag ideas - Choose your favorite and use them for printable thank you tags, favors, gift tags, prize tags for baby shower games, food picks and labels, name tags, place settings, etc! There are many different styles to choose from - we hope you like them! 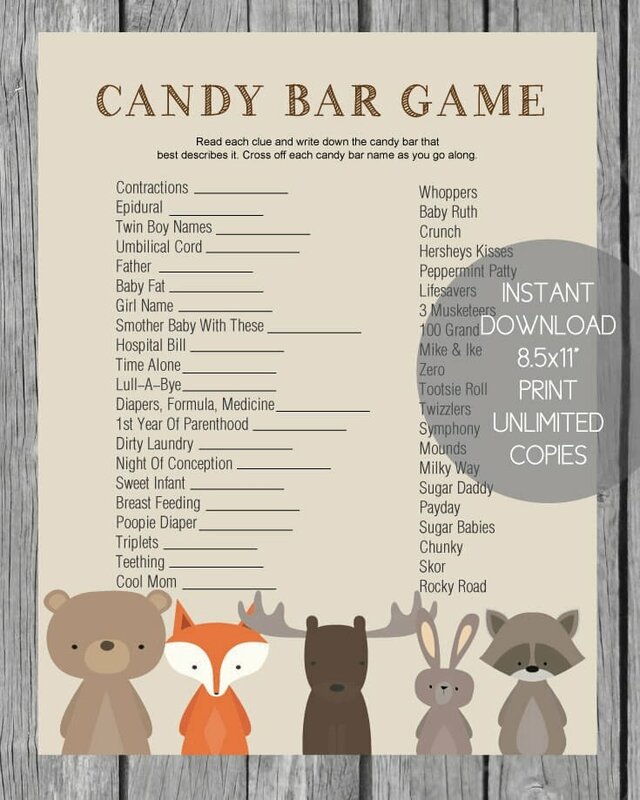 To enjoy these printable baby shower PDF files, you must have Adobe Reader installed on your computer. It usually comes pre-installed on most computers. If your computer doesn't have it, or you need a newer version, you can get it free at adobe.com/reader. 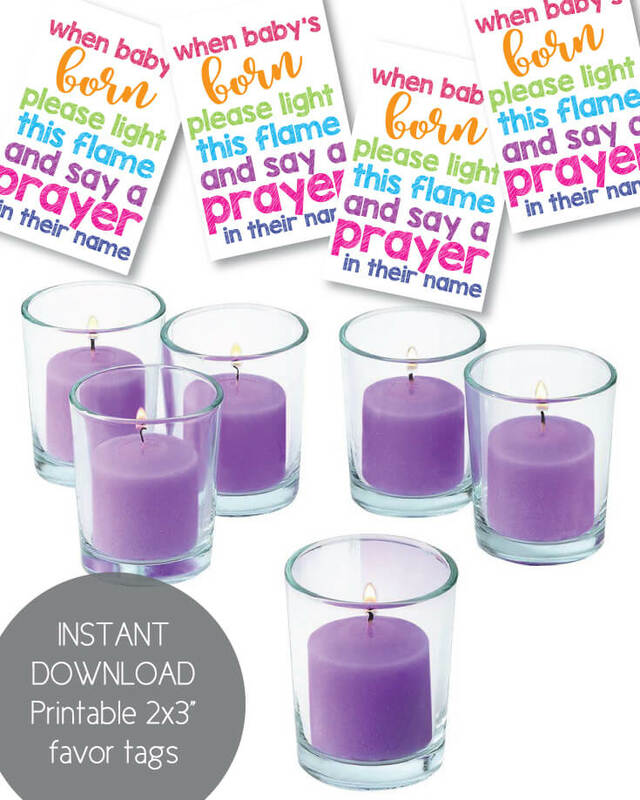 Print, cut and attach them, with a cute ribbon, to votive candles wrapped in tulle, cello or in an organza bag. Grab them in the shop. 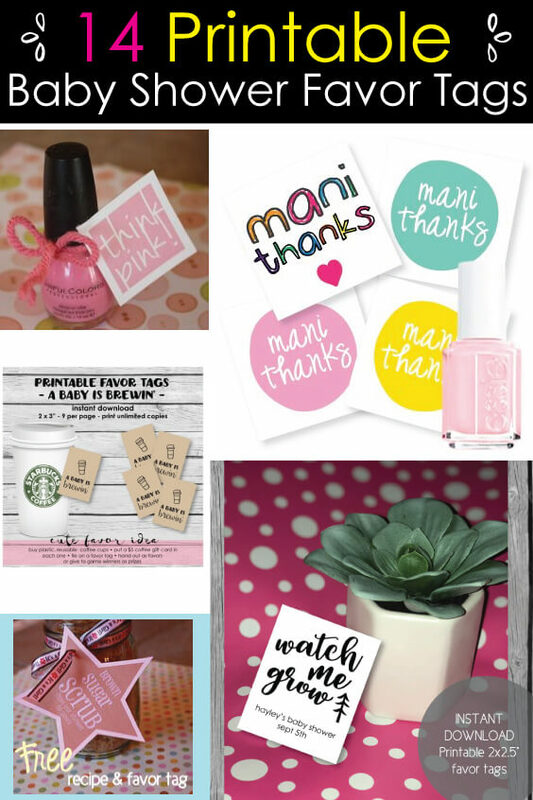 Tie pink yarn around a bottle of pink polish, add our free printable "Think Pink" favor tag, and you have easy, affordable baby shower favors! Grab your "Think Pink" tags at our other site. Cut up pink feather boas and use them as a cute ribbon! Or use a fun patterned ribbon and tie around the top! 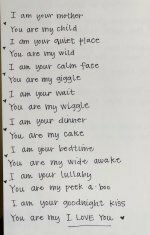 Grab these baby shower thank you tags, here. 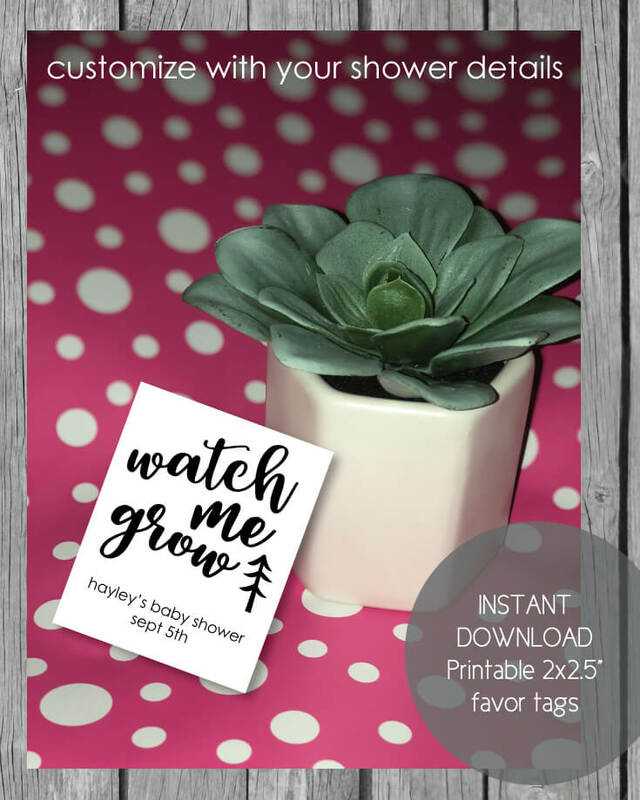 These printable, "Watch Me Grow" baby shower favor tags are perfect for little succulent favors, mini rose bushes, or any cute little plant. You can customize the bottom portion of the tags with your own wording! 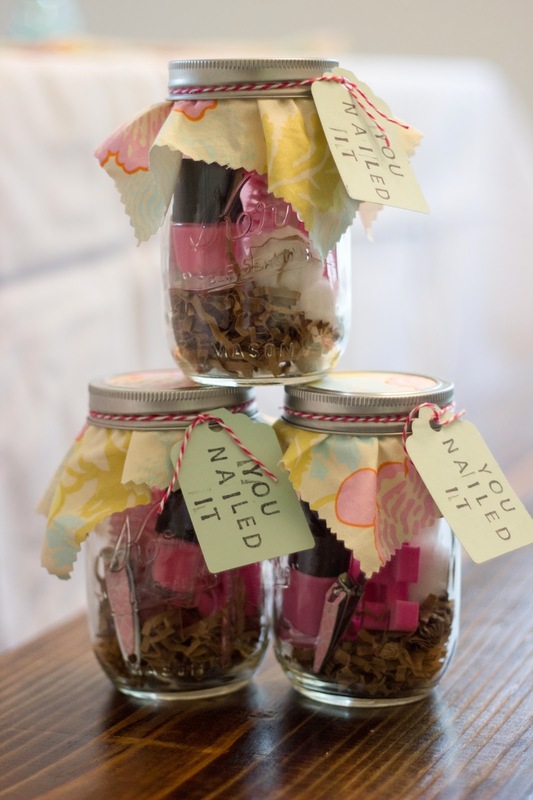 Print, cut and tie onto favors with string. So easy and affordable! 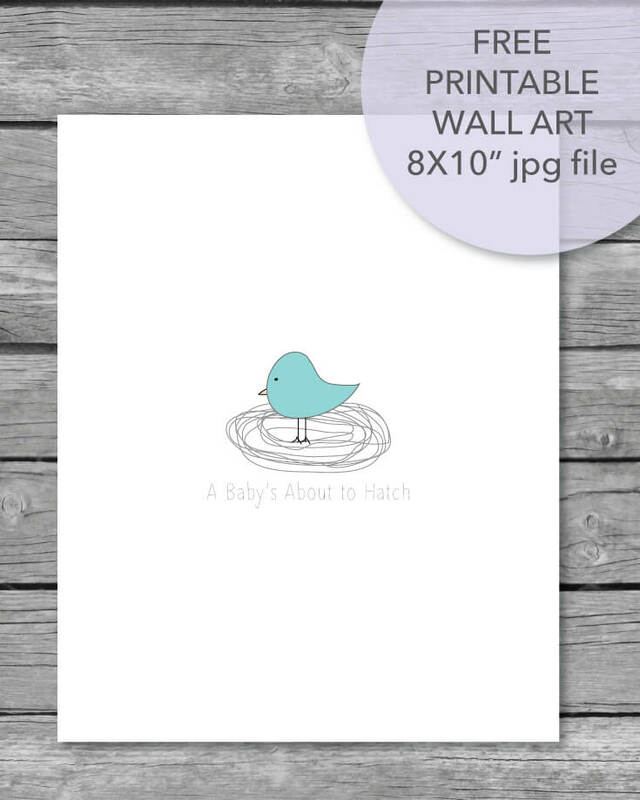 These little "tweet baby" tags fit perfectly with the popular, "About To Hatch" baby shower theme! Get your free tags, here. 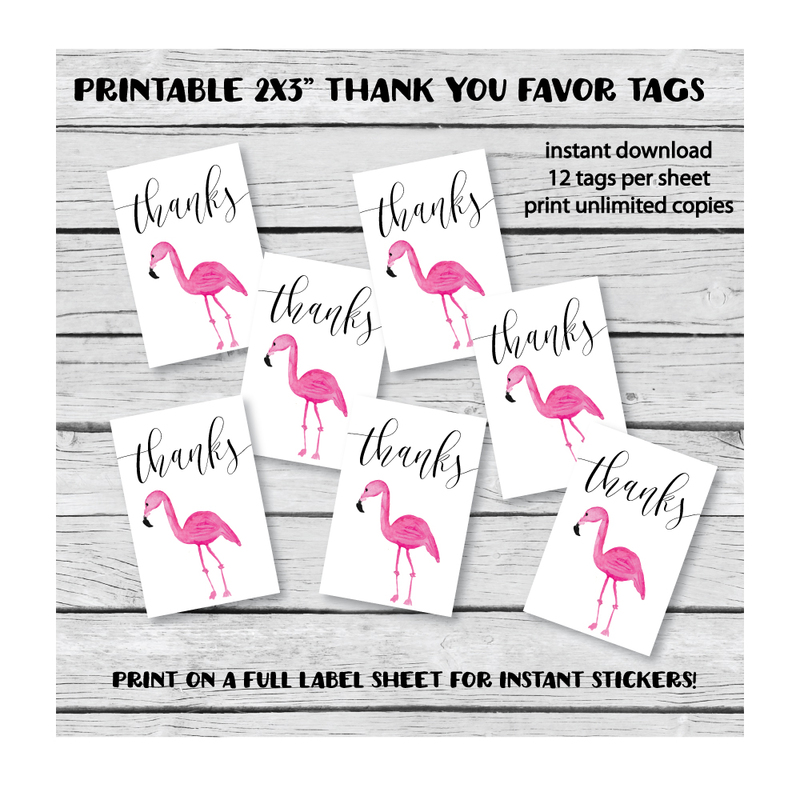 You can print onto white card stock and use as cupcake picks, favor tags, add to blank cards and make invitations or thank you cards, gift tags, etc. 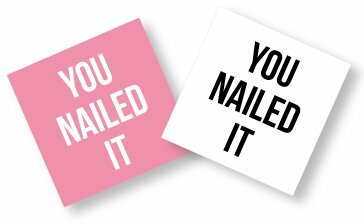 Another cute idea is to print them onto a full label sheet to make stickers - stick on favor bags, invites, cups, anything! 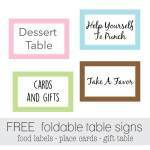 You can cut out with scissors or use a 2" circle punch to punch out. Get the free matching sign here. 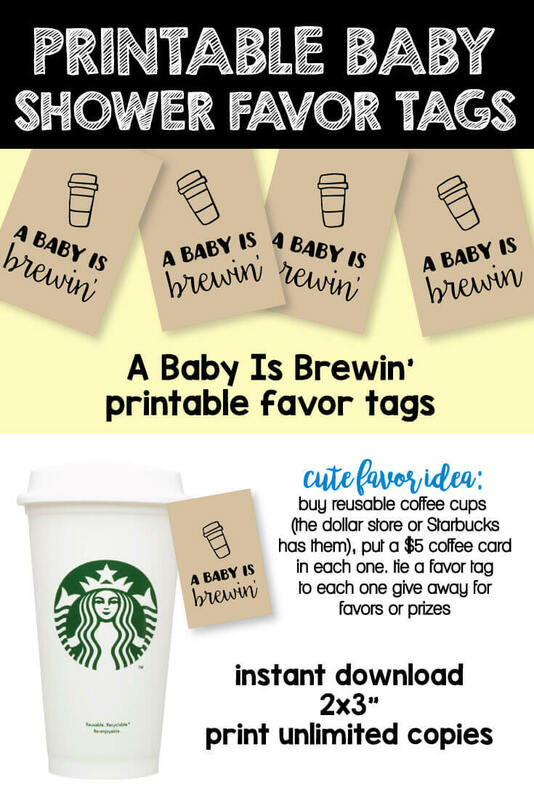 "A Baby Is Brewin" so why not give your guests some coffee to celebrate?! 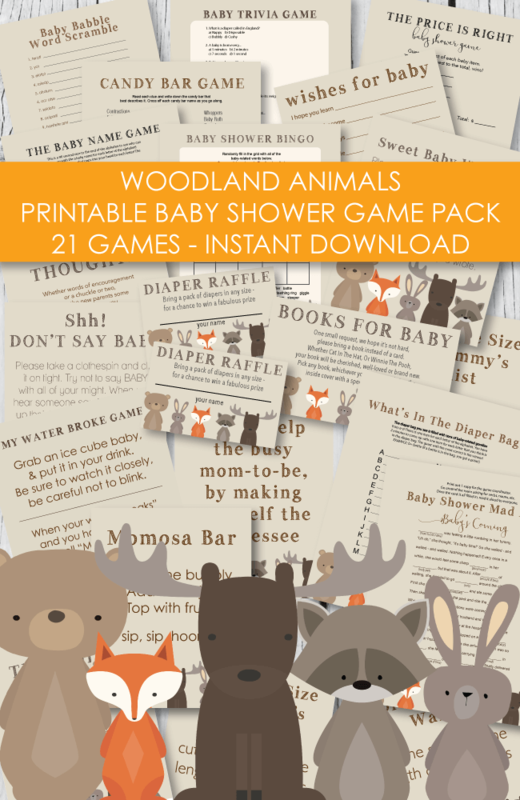 These make great baby shower favors and/or baby shower game prizes! All you do is purchase plastic, reusable coffee cups (Starbucks has them or even the dollar store sells them,) then add a $5 gift card to each one and tie a favor tag on! So cute and guests will love them! 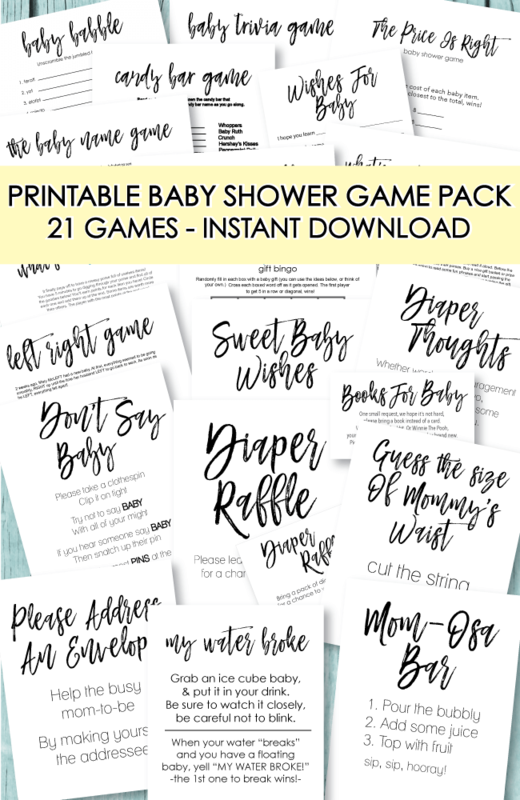 You can find the printable tags here. 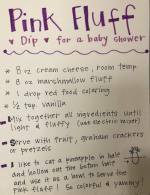 Be sure to visit our new page full of yummy s'mores baby shower favor ideas! We've also added the best s'mores dip recipe in the world! See it here. Like flamingos? 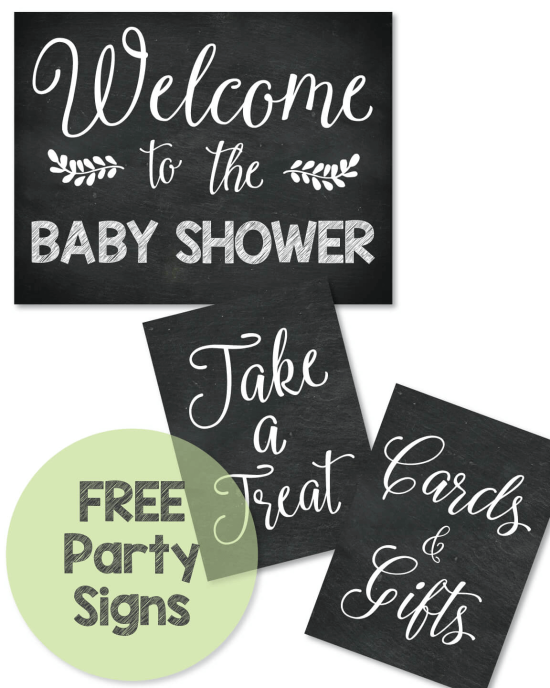 If you are hosting a tropical-themed party of shower, these are whatcha' need! 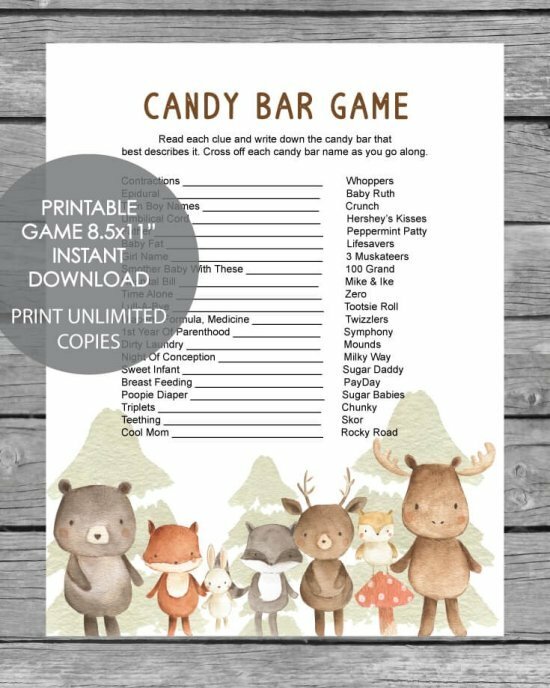 Click on the pic to hop over to our printable shop. 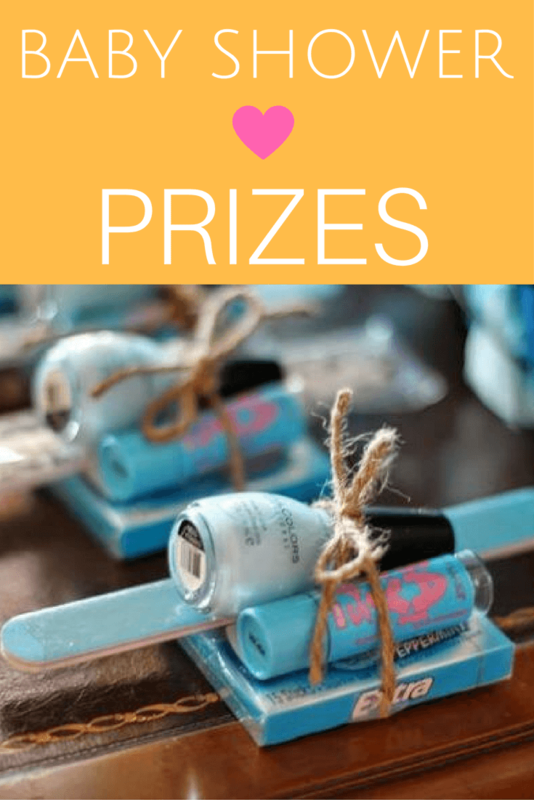 Add these FREE printable tags to a cute mason jar filled with nail polish, remover, and a cute nail file. Tie each favor tag on with a cute ribbon, and you have the perfect baby shower prize or favors! You can find these free tags here. Add these miniature cuties to toothpick and poke into cakes, cupcakes, food dishes - instant cuteness! 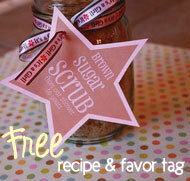 Whip up some sweet smelling brown sugar scrub and hand out as baby shower favors! 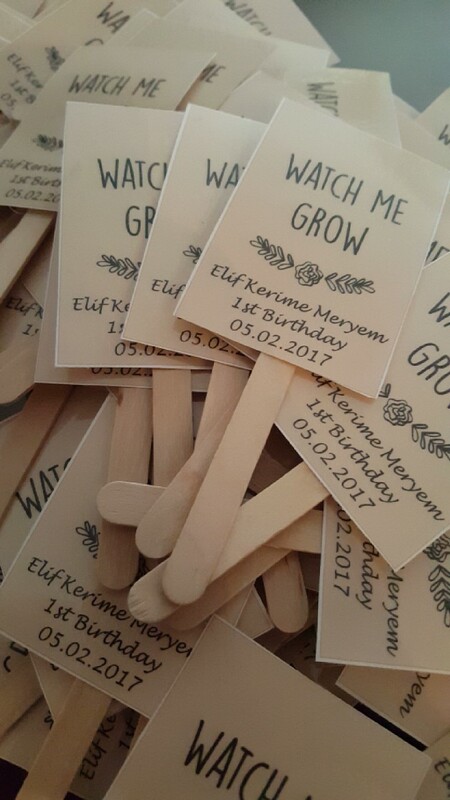 Guests love handmade baby shower favors and will appreciate the extra time and thought you put into making their baby shower gifts! Get the free tags and recipe here. 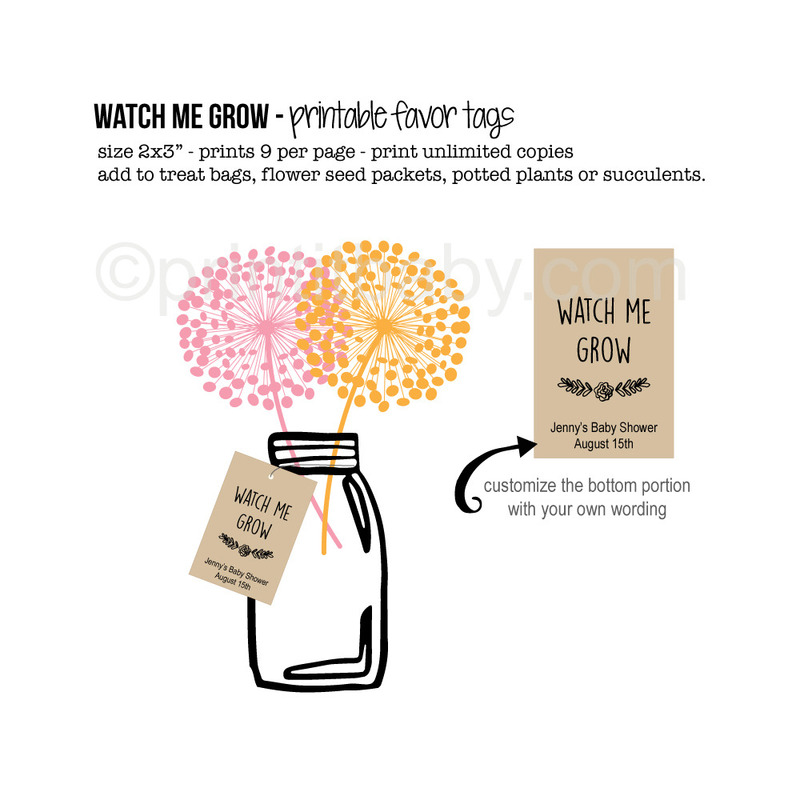 Easy, printable watch me grow baby shower favors tags - perfect for tying onto succulents and mini flower pots with a package of flower seeds. Get them here.